Find out the Armenia currency exchange rate for your currency. Look at the following tables for at-a-glance comparison of the Armenia exchange rate (AMD). 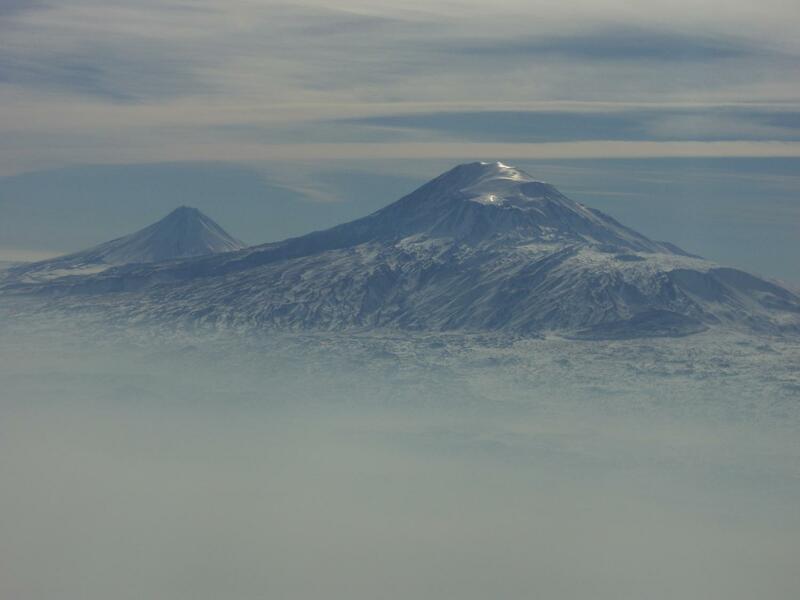 from the air after take off from Yerevan airport. The currency used in Armenia is the Armenian Dram (AMD). A quick look down the tables will allow you to compare currencies. The tables show you one column with the local currency value of one Armenian Dram (AMD) and one column with the value of one unit of the local currency in Armenia Dram. According the World Factbook, there were approximately $1.518 billion (US Dollars) worth of exports from Armenia in 2011, the majority of which consisted of pig iron, unwrought copper, nonferrous metals, diamonds, mineral products, foodstuffs, and energy. Imports to the country were valued at approximately $44.94 billion in 2011; mainly natural gas, petroleum, tobacco products, foodstuffs, and diamonds. The following list shows the most important trading partners with Armenia for both exports and imports by percentage value. Do you have a travel website for Armenia? Would you like to exchange links with me? Contact me here with information. 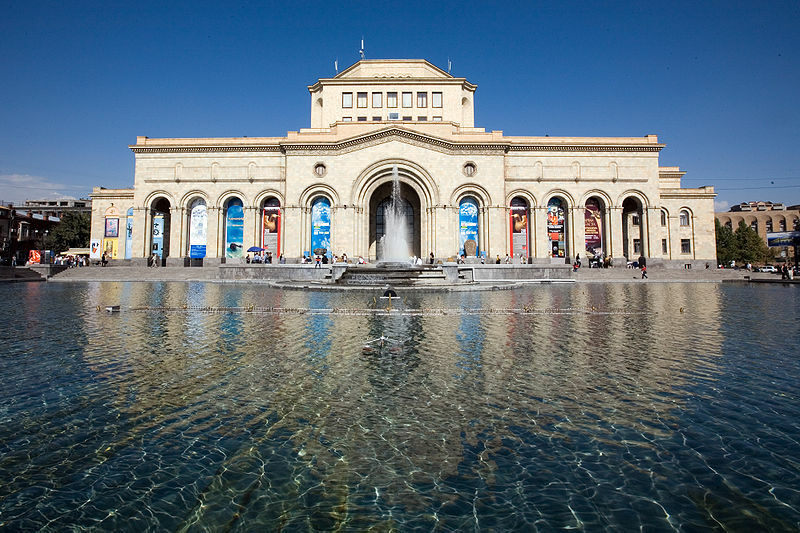 Armenia National Gallery Image: Copyright EvgenyGenkin.